Wikimedia Commons has media related to 1136 . Year 1136 ( MCXXXVI ) was a leap year starting on Wednesday (link will display the full calendar) of the Julian calendar. The Kedah Sultanate is a Muslim dynasty located in the Malay Peninsula. Originally an independent state, it became a British Protectorate in 1909. Its monarchy was abolished after it was added to the Malayan Union but was restored and added to the Malayan Union's successor, the Federation of Malaya. 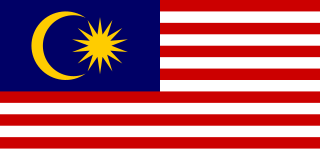 Malaysia is a country in Southeast Asia. The federal constitutional monarchy consists of 13 states and three federal territories, separated by the South China Sea into two similarly sized regions, Peninsular Malaysia and East Malaysia. Peninsular Malaysia shares a land and maritime border with Thailand in the north and maritime borders with Singapore in the south, Vietnam in the northeast, and Indonesia in the west. East Malaysia shares land and maritime borders with Brunei and Indonesia and a maritime border with the Philippines and Vietnam. Kuala Lumpur is the national capital and largest city while Putrajaya is the seat of federal government. With a population of over 30 million, Malaysia is the world's 44th most populous country. The southernmost point of continental Eurasia, Tanjung Piai, is in Malaysia. In the tropics, Malaysia is one of 17 megadiverse countries, with large numbers of endemic species. February 5 is the 36th day of the year in the Gregorian calendar. There are 329 days remaining until the end of the year. The first treaty of Durham was a peace treaty concluded between kings Stephen of England and David I of Scotland on 5 February 1136. Cumberland is a historic county of North West England that had an administrative function from the 12th century until 1974. It was bordered by Northumberland to the east, County Durham to the southeast, Westmorland and Lancashire to the south, and the Scottish counties of Dumfriesshire and Roxburghshire to the north. It formed an administrative county from 1889 to 1974 and now forms part of Cumbria. Peter Abelard writes the Historia Calamitatum , detailing his relationship with Heloise. Peter Abelard was a medieval French scholastic philosopher, theologian, and preeminent logician. His love for, and affair with, Héloïse d'Argenteuil has become legendary. The Chambers Biographical Dictionary describes him as "the keenest thinker and boldest theologian of the 12th Century". William of Newburgh or Newbury, also known as William Parvus, was a 12th-century English historian and Augustinian canon of Anglo-Saxon descent from Bridlington, Yorkshire. Year 1198 (MCXCVIII) was a common year starting on Thursday of the Julian calendar. Richard fitz Gilbert de Clare 3rd Lord of Clare, was an Anglo-Norman nobleman. A marcher lord in Wales, he was also the founder of Tonbridge Priory in Kent. Year 1094 (MXCIV) was a common year starting on Sunday of the Julian calendar. Year 1154 (MCLIV) was a common year starting on Friday of the Julian calendar. Year 757 (DCCLVII) was a common year starting on Saturday of the Julian calendar. The denomination 757 for this year has been used since the early medieval period, when the Anno Domini calendar era became the prevalent method in Europe for naming years. The 1150s was a decade of the Julian Calendar which began on January 1, 1150, and ended on December 31, 1159. Year 1143 (MCXLIII) was a common year starting on Friday of the Julian calendar. The 1120s was a decade of the Julian Calendar which began on January 1, 1120, and ended on December 31, 1129. The 1130s was a decade of the Julian Calendar which began on January 1, 1130, and ended on December 31, 1139. The 1140s was a decade of the Julian Calendar which began on January 1, 1140, and ended on December 31, 1149. 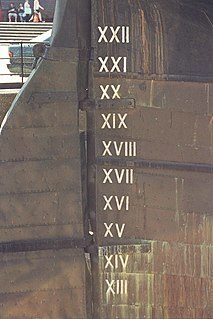 Year 1114 (MCXIV) was a common year starting on Thursday of the Julian calendar. Year 1120 (MCXX) was a leap year starting on Thursday of the Julian calendar. Year 1121 (MCXXI) was a common year starting on Saturday of the Julian calendar. Year 1034 (MXXXIV) was a common year starting on Tuesday of the Julian calendar. Year 1133 (MCXXXIII) was a common year starting on Sunday of the Julian calendar. Year 1148 (MCXLVIII) was a leap year starting on Thursday of the Julian calendar. Year 1109 (MCIX) was a common year starting on Friday of the Julian calendar. Year 933 (CMXXXIII) was a common year starting on Tuesday of the Julian calendar.